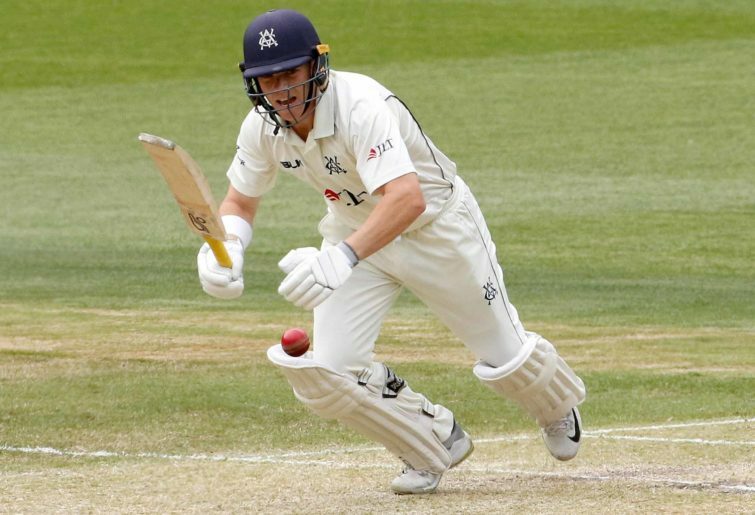 Throughout the opening rounds of Sheffield Shield games our dismal batting line up has resulted in many players being able to present their case for a spot in the first test in Adelaide. Of the players who represented the Aussies in the UAE, only Shaun Marsh has managed to solidify a position and revert to his form last summer with two hundreds for Western Australia. However, the dominant Victorian Shield line up has presented the name Marcus Harris as a possibility to shape our top order against India. Harris has been a consistent performer at Shield level. For all of the calls from players of yesteryear’s golden age for current batsmen to dominate at state level and boost their averages to ensure selection, an underwhelming amount of bats have actually managed this. Gone is the era of the likes of Mike Hussey plying his trade for a decade and amassing a record amount of Shield runs alongside the unlucky sorts such as Brad Hodge, Harris has done this upon moving to Victoria. His career average, including both his time at Western Australia and Victoria, is disappointingly only just over 35, yet this doesn’t take into account his circumstances – Harris debuted at age 18 and made 157 in just his third match, yet struggled with problems of inconsistency that are common for blistering opening batsmen. Yet upon his relocation, Harris has averaged over 40 in his first two seasons, and is currently averaging a tick under 88 so far in this season. Although shunned from Western Australia by Langer from being “mediocre” with only “flashes of brilliance”, Harris has developed his game to provide a mature sense of calm that capitalises more on his brilliance. His 250* earlier in the season was sublime, and his usual aggressive game has catered for a smarter approach that is not unlike David Warner’s rise to success. In a Test team that is struggling greatly with maintaining scoring tempo and positive approaches when facing the world’s best bowlers, Harris may be hitting his peak. If selected, he possesses a similar game to Warner in that he can hammer opening bowlers from an early stage and lay the foundations for a high scoring innings. This is something Australia is desperately lacking, and with Harris the opening partnership could be steady yet dynamic in covering for the loss of Warner. Considering that certain sections of the Australian cricketing public are desperate for the bans of Warner and Smith to be rescinded so that they can save the test team, wouldn’t it be beneficial for Harris to be selected and reflect an aggressive approach to opening the batting that Warner made his own? It may not be to the same standard as Warner’s impressive career thus far, yet it may be a perfect time to introduce him to the national stage and develop his skills so that he has the chance to flourish and become Australia’s next great opening batsman? We also know that Harris is a big-game performer. In the 2014-15 Sheffield Shield Final he played a lone hand for the losing Warriors in making 81 and 158 against a dominant Victorian outfit that he would soon join. On the biggest stage that he has played in during his first-class career, Harris provided an adept ability to make runs in a positive manner against the best bowling attacks presented to him. This proves that his aggressive style doesn’t shy away when pressure is applied, meaning that Harris may be a welcome addition to the Australian test team. The only part that could detract from Harris’ selection is his previous relationship with Langer while at Western Australia. Frustrated by his opening batsman’s youthful inconsistency, Langer bode him farewell with a public parting shot that hinted at a lack of credit or respect for Harris. However, the Victorian opener has affirmed that he still remains in contact with Langer and that an exchange with Langer as a part of the national team wouldn’t be awkward, so maybe Harris could be in the box seat for an inclusion in the test side come the first test. If Australia want to introduce positive batsmen who have the talent to shape our test team’s identity without Smith and Warner, Harris may be the perfect platform to set to encourage aggressive cricket from the top of the order.